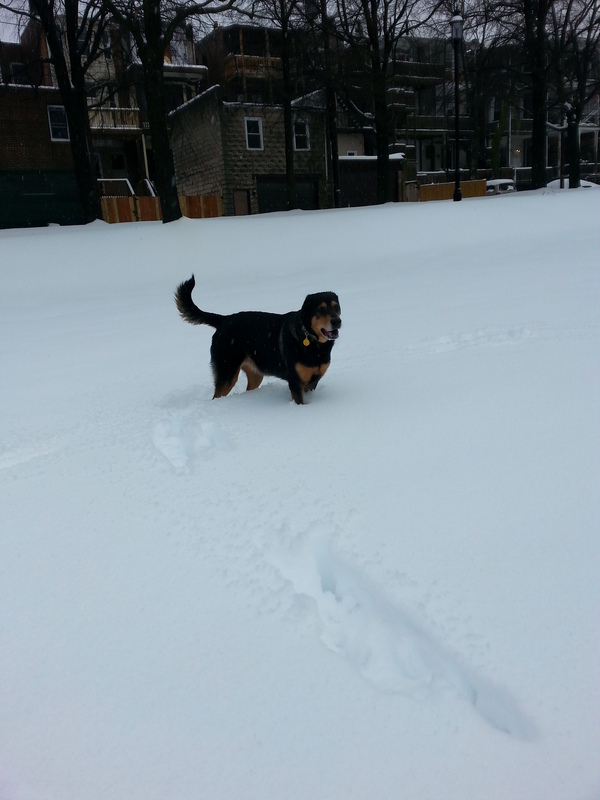 Zada thinks snow days are great too! Baltimore is snowed in today; she doesn’t want me to leave. Or for anyone to leave. It provides a great chance to catch up on packing, paperwork, and cooking for the week. I had to share this amazing loaf from last week, such a great rise and crust. Left-over-grain bread is well on its way. That’s bread made with left over cooked whole grains, in this case cooked barely, which is added to the sourdough in the first stage. It takes an extra day to rise, as does anything with whole grain, but it’s well worth the wait! 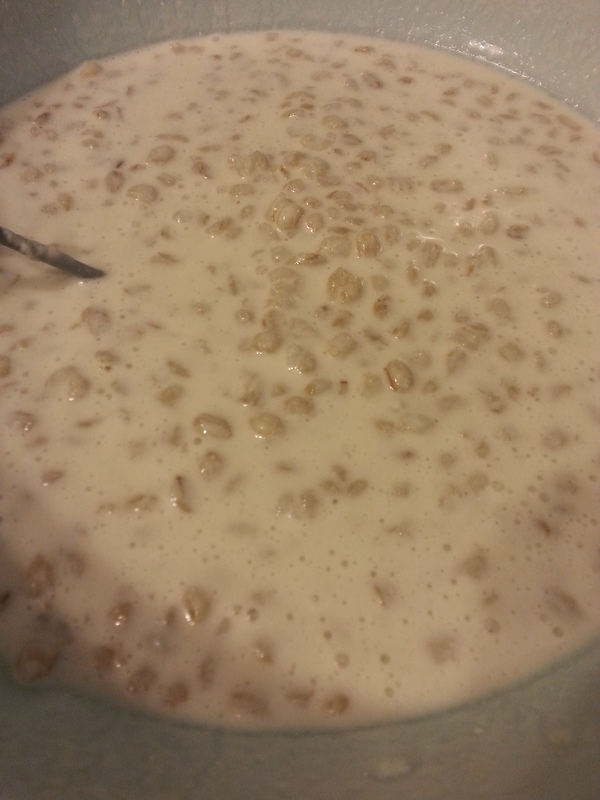 Barley soaking in the “sponge” – day one of the sourdough process. 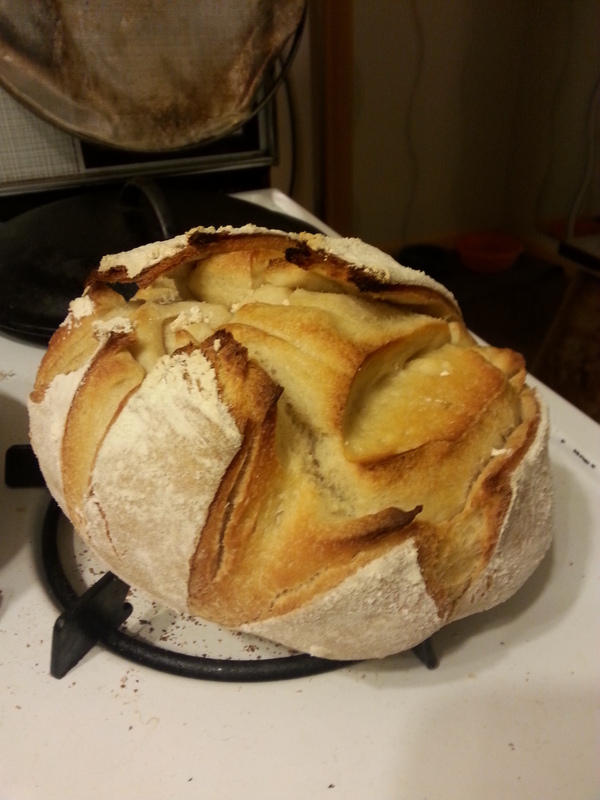 Can’t continue until I brave the weather to buy more flour! 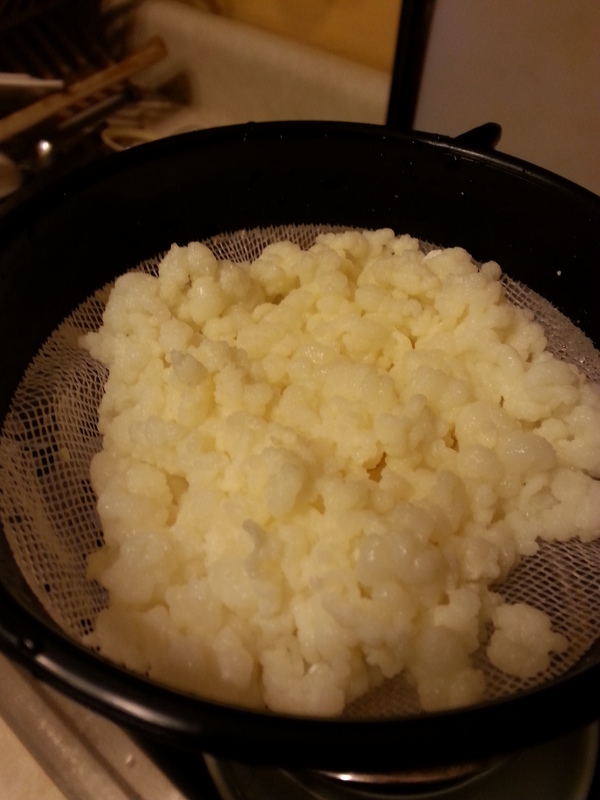 Kefir “creatures” – the beasties that sit in the milk and turn it into kefir, then get strained out to make a new batch. Yummy. Cheers, and a big thank you to those of you who have followed Nidulari! I promise it shall get far more interesting once I (finally) arrive on St Croix! What, you’re still here? Good heavens! I though you’d already decanted yourself into the Caribbean. If you get a free moment, I’d love to buy you a beer and discuss cheese-making and your St. Croix plans before you go! Yes, I’m here until the 28th (sadly; I’d have been quite happy to miss out on this weather), would love to take you up on that! I’ll shoot you an email.